Paul-Emmanuel Thomas is at the forefront of a new generation of french entrepreneurial conductors with multiple trajectories. Appointed in 2010 as Music Director of the Classica Italiana Orchestra in Torino, he added in 2012 the Artistic Director of prestigious Menton Music Festival (France) to his roles as First Guest conductor of the Orchestra Filarmonica del Piemonte (Italia). His meeting with Georges Prêtre lastingly marks his artistic career and his particular affinity for French symphonic music and the Italian lyric repertoire. Versatile artist, his 2018-2019 season is marked by his debut with the Toulouse National Orchestra and his Ballet in Don Quixote, with the Kanazawa Orchestra Ensemble in Japan in a Ravel program and with the Royal Northern Sinfonia in England with the famous baritone Sir Thomas Allen. Committed artist, Paul-Emmanuel is involved in many educational projects. His last season will be marked by his return to Rouen Opera house (France), in a new production of « Tistou les pouces verts » opera by Henri Sauguet, acclaimed by the critics: "Beautifully written, the score knows a true renaissance under the direction of the charismatic Paul-Emmanuel Thomas » (Le Monde). He is involved in original projects such as the opera world premiere Red Waters by pop singers Keren Ann and Bardi Johannsson, the french creation of the original sound track of The Goddess by chinese composer Zou Ye with Pelleas Chamber Orchestra. 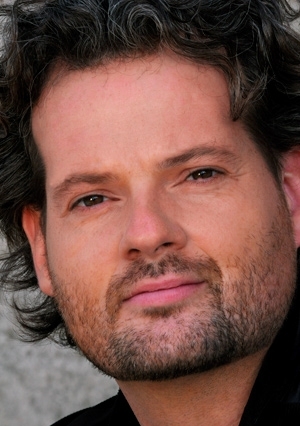 "Flexible and attentive management" (Opera Magazine), Paul-Emmanuel is sought after for its soloists accompanying qualities and participates in the European Tour of Roberto Alagna « Shakespeare Stars » at the Walldbühne in Berlin, the Munich Philharmonie, Frankfort Alte Oper, Salzburg Festpielhaus and Santa Cecilia in Roma … He conducted also the Nice Festival Opera Gala with german opera star Simone Kermes. Since his remarkable lyrical debuts in La Traviata with the Filarmonica Orchestra del Piemonte in 2009, he is regularly invited in Italy to conduct the belcanto repertoire: Il Barbiere di Siviglia, Lucia di Lammermoor, Norma, Rigoletto, Il Trovatore, L'Elisir d'amore, Don Pasquale ... and more recently new productions of Otello, Tosca, Suor Angelica, Cavalleria rusticana … He conducted over 30 performances of Carmen, openair opera tour with an outstanding success and broadcasted live on Paris Premiere TV. He is a jury member of the Concorso Internazionale of Canto Lirico Enzo Sordello, chaired by famous tenor Luigi Alva. He completed his musical studies at the Conservatoire National Supérieur de Musique et de Danse de Paris (CNSMDP). He is also graduated with a Master in Conducting at the Conservatoire Royal de Liège in Belgium.